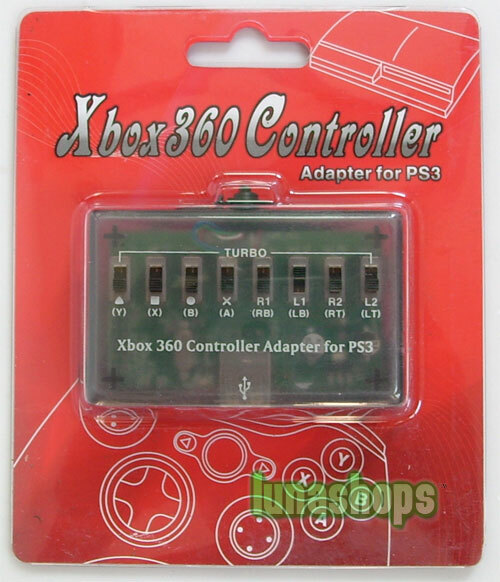 Item Condition: Brand New within retail package. 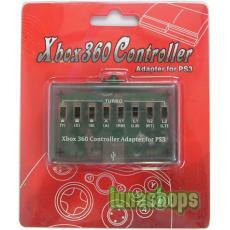 Allows you to connect your XBOX 360 wired controller to your PS3 console for use with PS3 games. 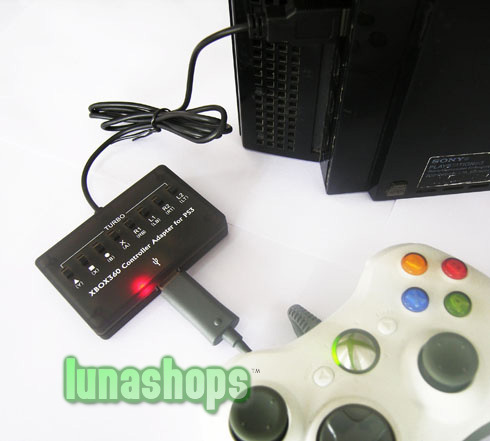 Rapid fire and vibration functions on all action buttons are supported. 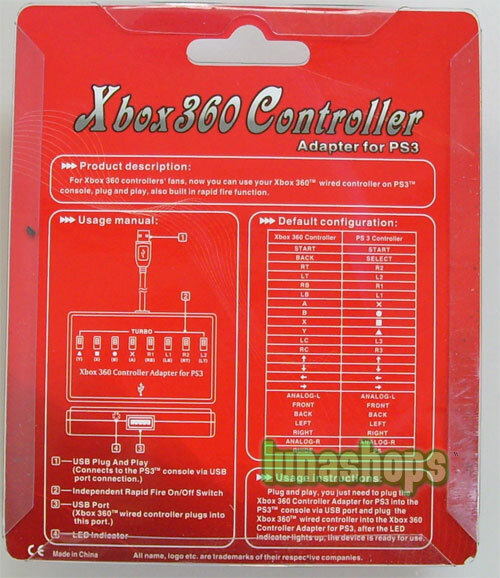 Plug and play, You just need to plug the xbox 360 controller adapter for ps3 console via usb port and plug the xbox 360 wired controller into the xbox 360 controller adapter for ps3 after the led indicator lights up, the device is ready for using.